Inside the high quality pages of the publication printed on post consumer recycled paper, more than 20 more creators are being featured for their talent, their spirit, but mostly, their believes in their own art. 70s: it began on the coasts; ‘90s: it took a back seat to gangsta rap; now: hip-hop dance is back. Through popular television shows like America’s Best Dance Crew and feature films such as Step Up and Stomp the Yard, the hip-hop dance revolution has re-energized the dance world. Movmnt takes you to the heart of the battle with a stunning fashion editorial captured by fine art photographer Koury Angelo. Featuring performers and choreographers from Monsters of Hip-Hop, Movmnt tells the story of hip-hop dancers in their fight to steal hip-hop back from the music world.Created in 2002, Monsters of Hip Hop uses some of the best choreographers in the business to provide dancers with the education, experience, and performance opportunities to immerse themselves into the world of hip-hop at nationwide conventions. Movmnt talks with young choreographer Tony Testa about his inspiration, contributions, and successes in the world of hip-hop dance. In 2009, Keep it Real will continue working with talented performers, former contestants of Dance Reality TV Show, and will focus on bringing attention to the dance world on how little daily habits can litteraly transform our direct environment. 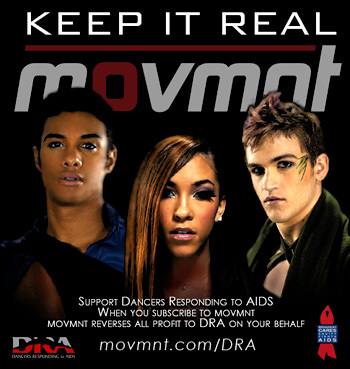 Movmnt will team up, among others, with Universal News in New York as a partner in this new “Keep it Real” mission. Hip to the Game – Dance World vs Music Industry, the battle for Hip Hop Legacy featuring Monsters of Hip Hop Tony Testa, JaQuel Knight, Deana Brickley, Tiffanie Burgess, Jillian Myers and Bernardo Carmona. Movmnt is a quarterly lifestyle publication co-founded by Danny Tidwell as Artistic Advisor and Publisher David Benaym as Editor in Chief. They established the first pop culture magazine to depict dance as a lifestyle with focus on fashion, emerging music artists, and social issues. Movmnt’s goal is to bring together fashion, dance, music and pop culture as a lifestyle to the web 2.0 generation. 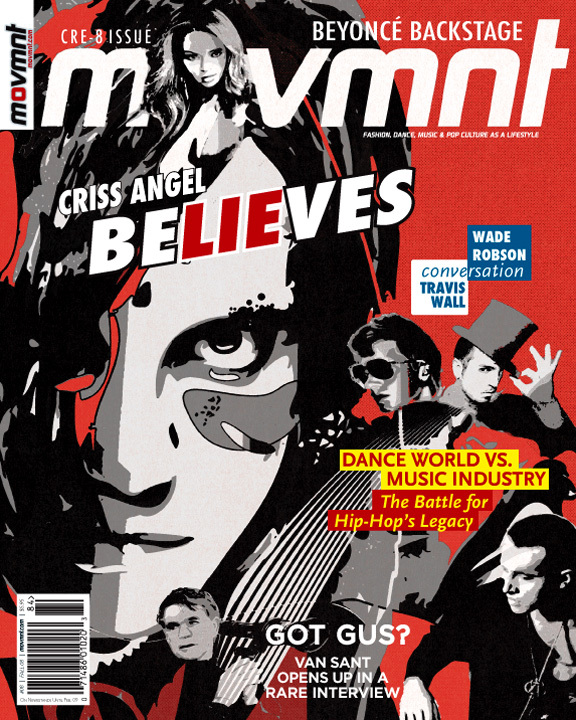 Available at Barnes and Noble, Universal News and selected newsstands nationwide in the US and Canada, it is also accessible via subscriptions and online orders at movmnt.com. With 50,000 copies, the magazine is also distributed via dance conventions and competitions, performing arts and music festivals, universities and dance studios nationwide bringing the magazine directly to target readers and usually untapped audiences.